Deck the halls, deck the tree, deck every room in the house! 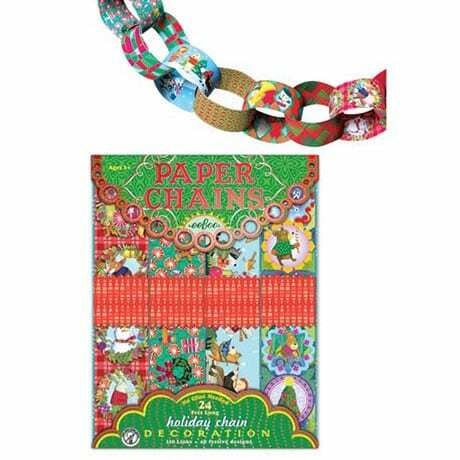 Our festive Holiday Paper Chains add colorful Christmas cheer wherever they're happily strewn. 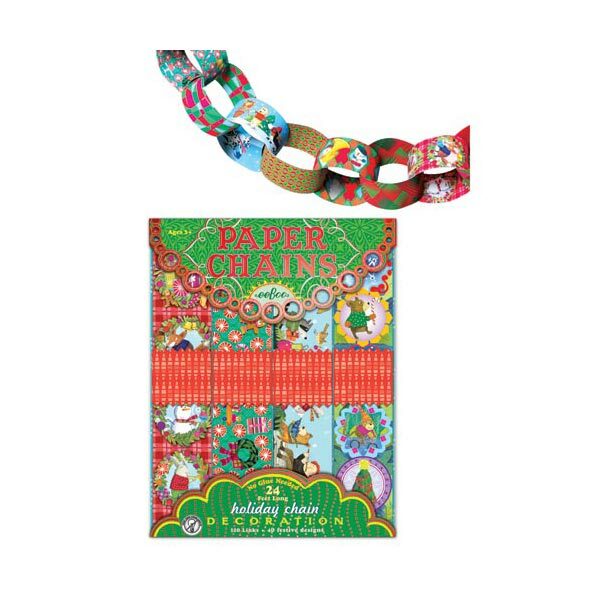 No glue or tape is required-the 120 links (measuring 10 3/4" x 2" and featuring 40 different designs) are cleverly precut to fit together in a jiffy. All connected, this holiday chain will run about 24 feet long. Buy several packs, make some hot cocoa, and enjoy assembling these adorable decorations with the whole family! For ages 4 and up.